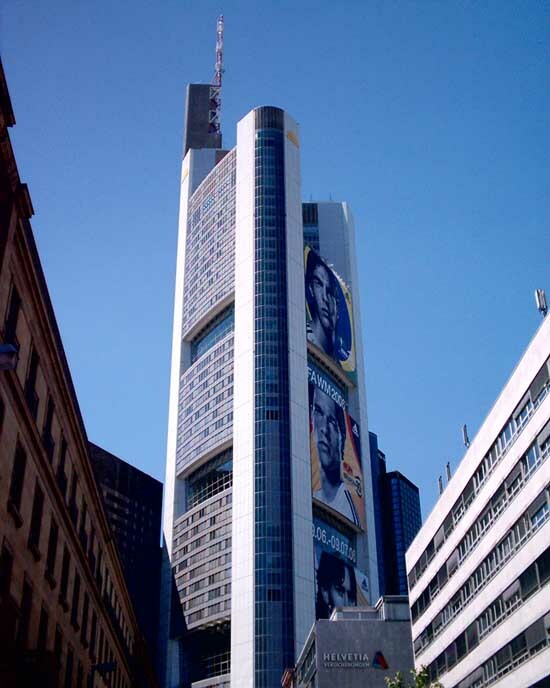 This 56-story, 259 m (850 ft) futurist skyscraper owned by Samsung of Korea since September 2016 in the banking district of Frankfurt, Germany. 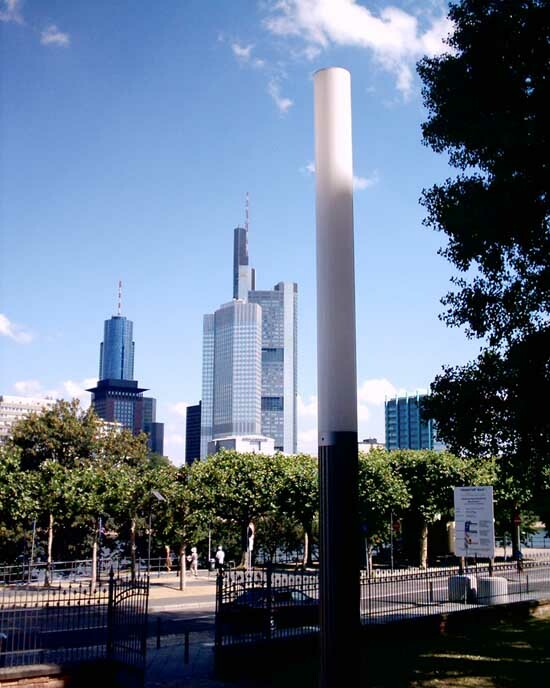 An antenna spire with a signal light on top gives the tower a total height of 300.1 m (985 ft). 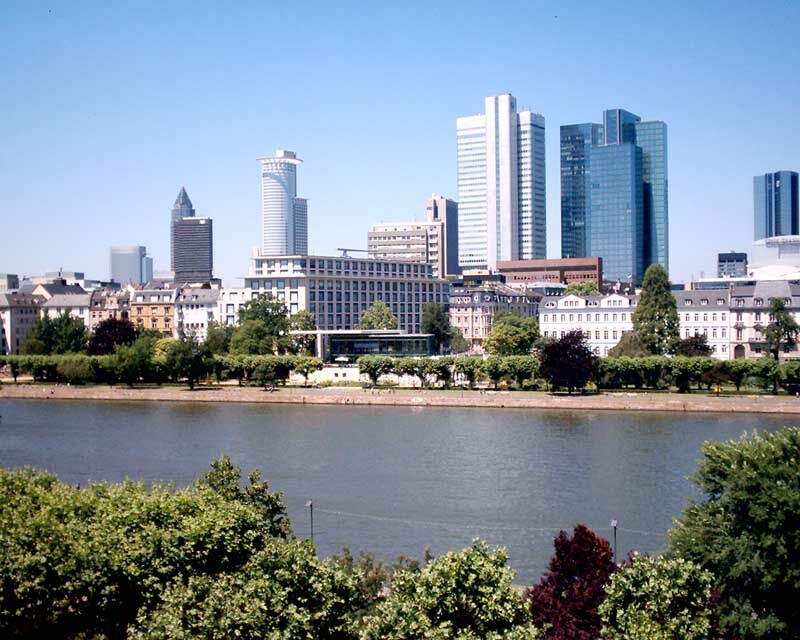 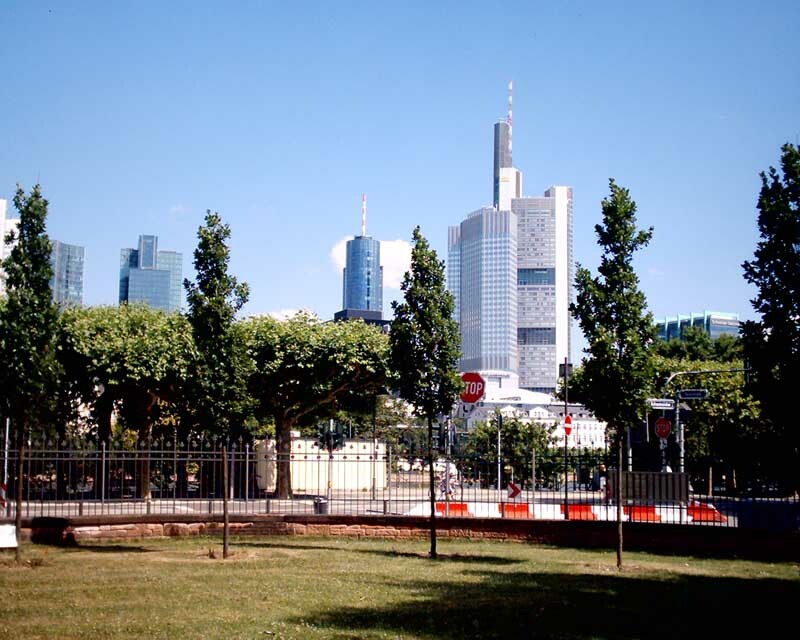 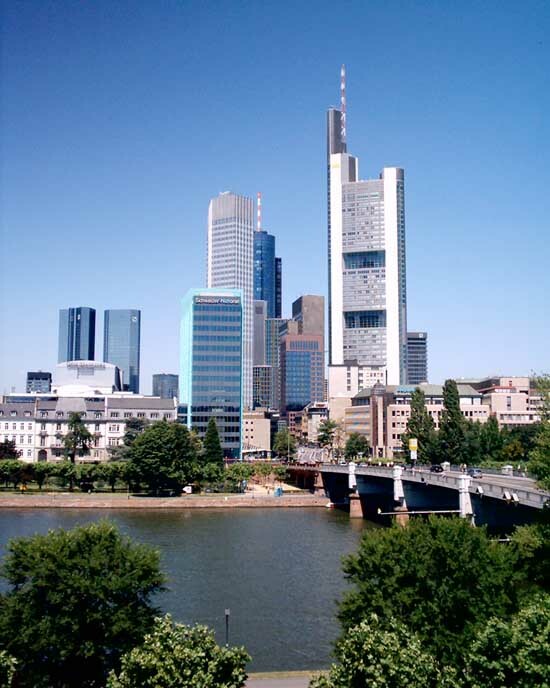 It is the tallest building in Frankfurt and the tallest building in Germany. 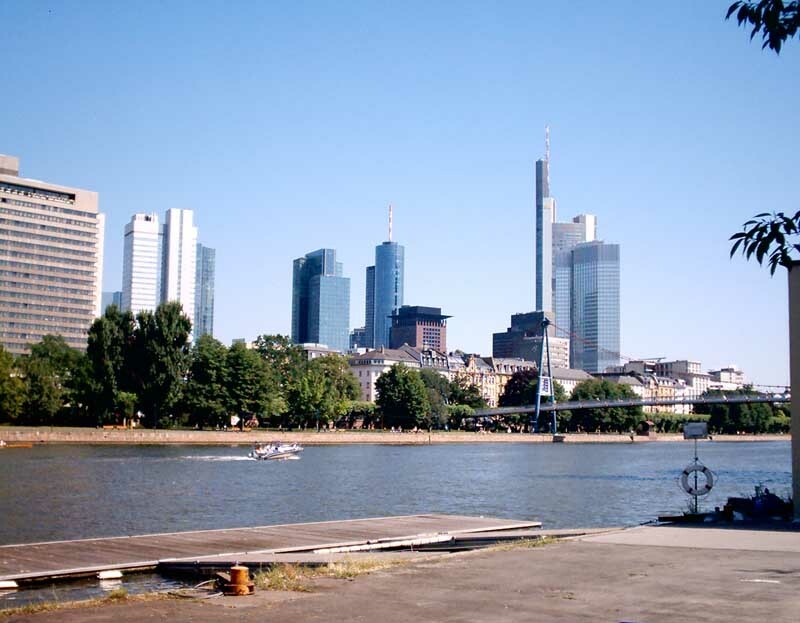 It had been the tallest building in Europe from its completion in 1997 until 2003 when it was surpassed by the Triumph-Palace in Moscow. 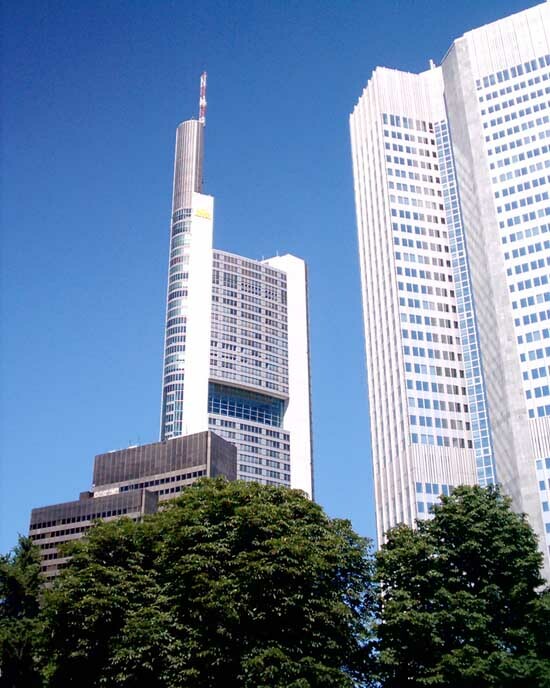 The Commerzbank Tower is only two metres taller than the Messeturm, which is also located in Frankfurt. 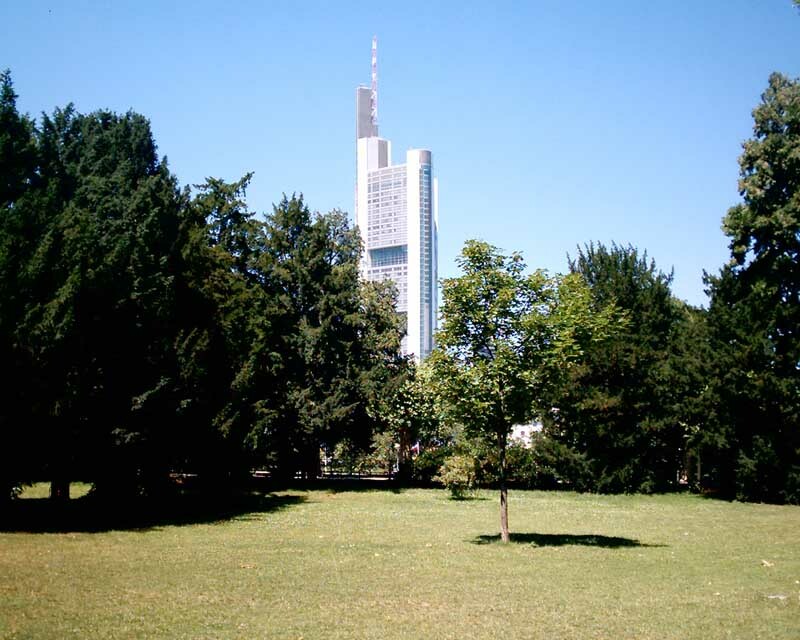 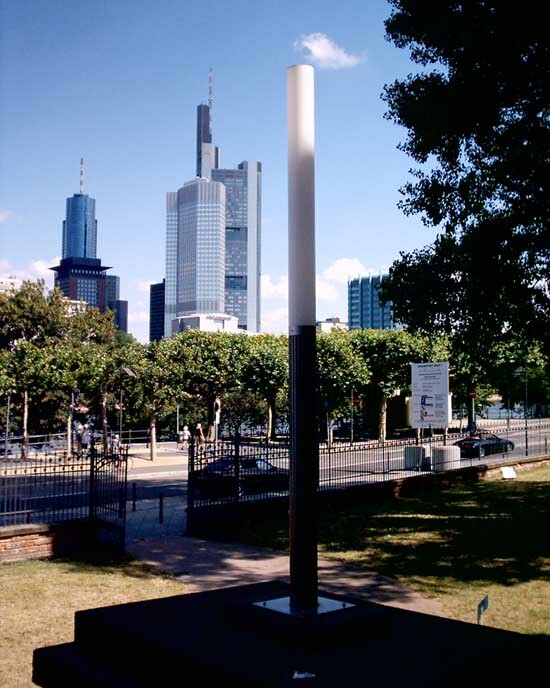 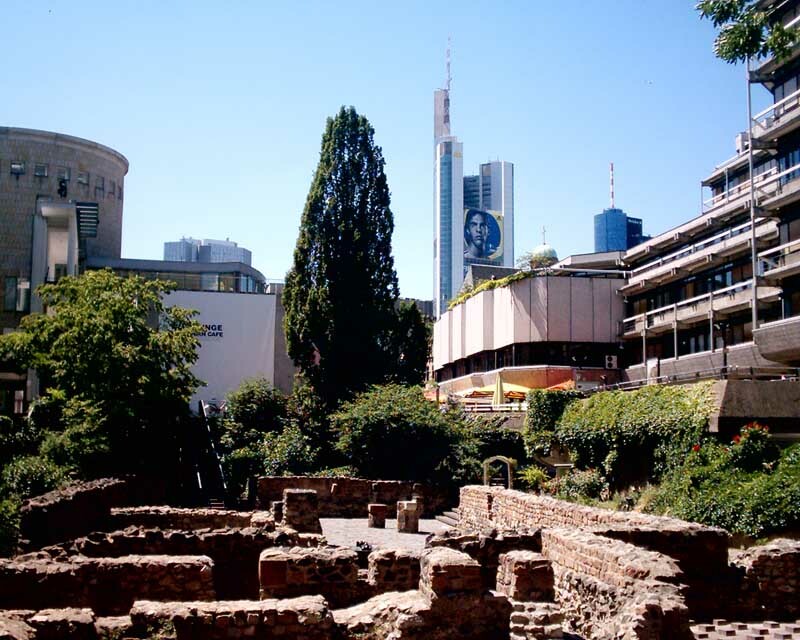 The Messeturm had been the tallest building in Europe before the construction of the Commerzbank Tower. 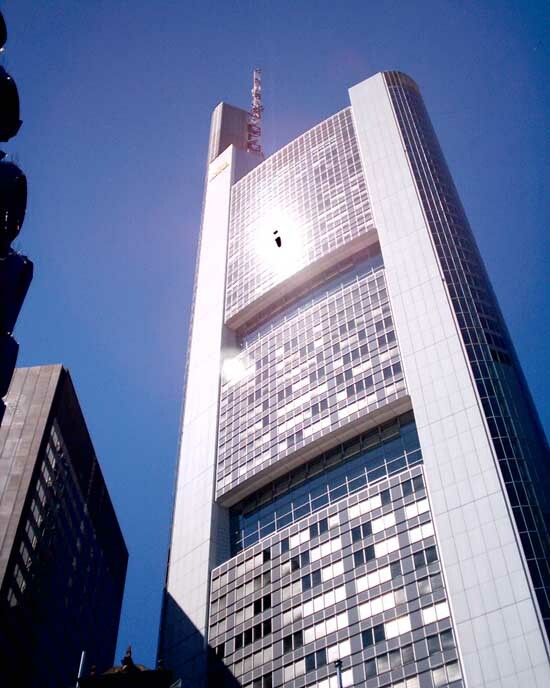 Commerzbank Tower was designed by Foster & Partners, with Arup and Krebs & Kiefer (structural engineering), J. Roger Preston with P&A Petterson Ahrens (mechanical engineering), Schad & Hölzel (electrical engineering). 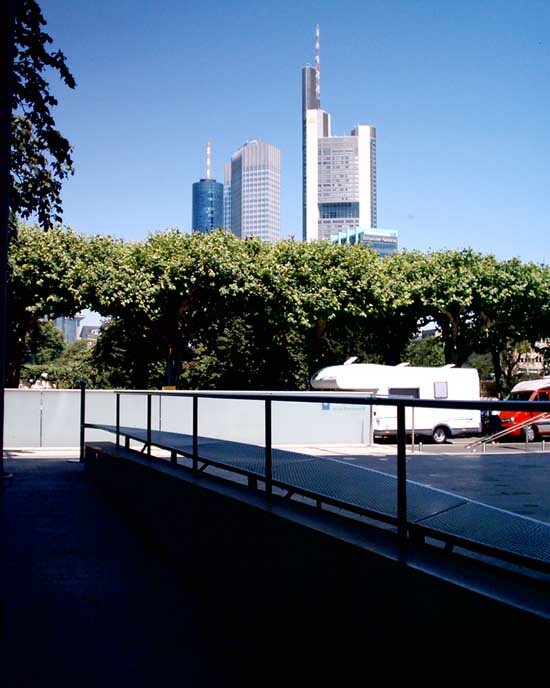 Construction of the building began in 1994 and took three years to complete. 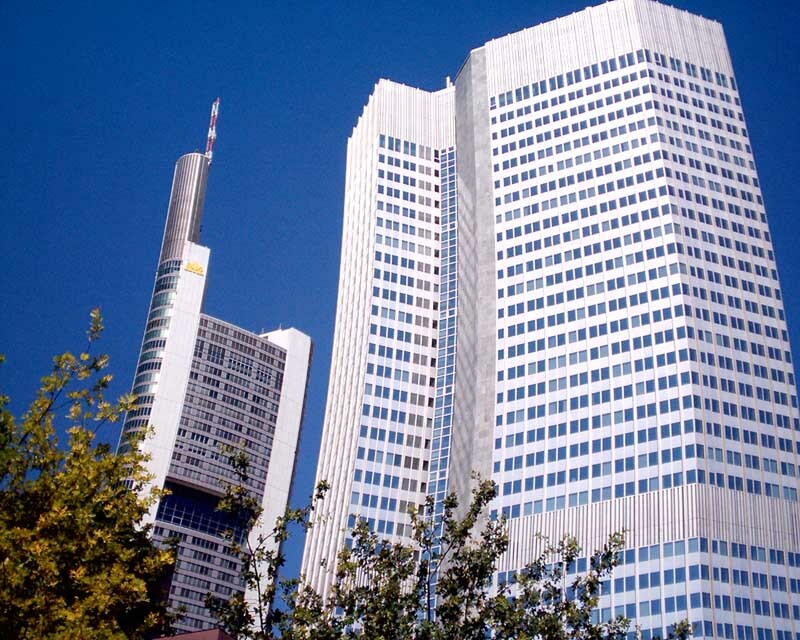 The building provides 121,000 m2 (1,300,000 sq ft) of office space for the Commerzbank headquarters, including winter gardens and natural lighting and air circulation. 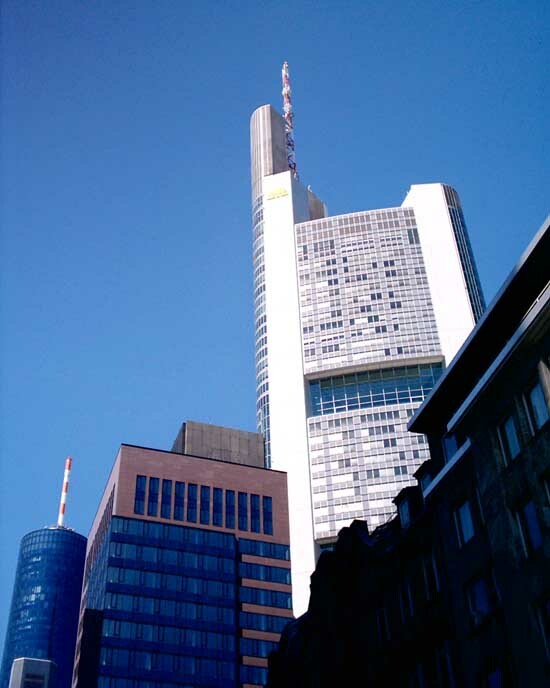 The building is lighted at night with a yellow lighting scheme that was designed by Thomas Ende who was allowed to display this sequence as a result of a competition.